Never dived before? This PADI one day program is an introduction designed for absolute beginners and non-certified divers. 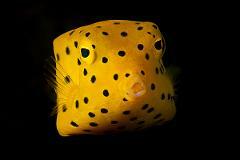 Take the plunge and discover the underwater world now! Never dived before? This PADI 3 days course is the international standard to learn to dive. 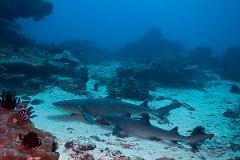 This beginner course includes theory, skill training sessions and 4 ocean dives. 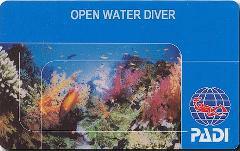 Take the plunge and become a diver now! Want to dive deeper? The PADI Advanced Open Water Diver course in Bali allows you to gain more practical dive experience and expand your maximum depth from 18m to 30m. 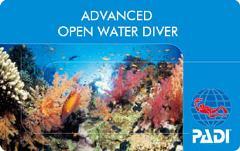 Take the plunge and become an advanced diver now! Ready to help others underwater? This PADI 3 days course will teach you techniques to prevent and react to dive emergencies. This course includes theory, skill training sessions and 2 ocean dives. Become a PADI Rescue diver now! Want to become a dive pro? The PADI Divemaster internship course is your first step into the world of professional diving. Go Pro now! Want to stay deeper for longer? 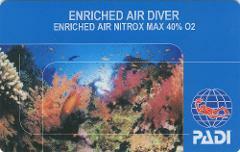 The PADI Enriched Air Diver specialty course in Bali allows you to dive with Nitrox gases up to 40%. Enjoy increased bottom times and safety now! Want to go deeper? The PADI Deep Diver specialty course in Bali allows you to dive with down to 40m: the maximum depth for recreational divers. Enjoy diving where most divers don't go!